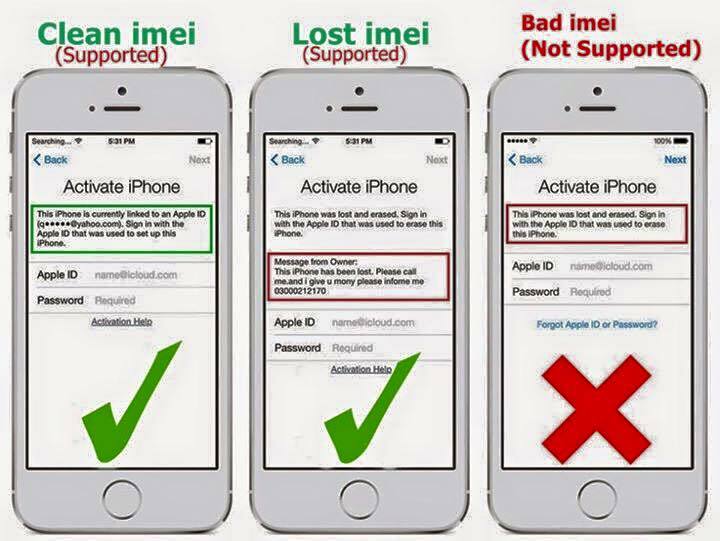 Remove iCloud activation Lock from your iPhone, for free its taking too long so if you are looking for fast way you can try the icloud activation unlock by IMEI. iCloud activation lock, is itself clear that it is a lock in the activation process because your iPhone, iPad, iPod was linked to icloud account when it was erased. Now, this is lock system actually designed to discourage the thieves form stealing iPhone and selling them to get money and its working in my point of view. This lock does not lets anyone pass inside and use it when it is restored, or if owner erases the iPhone from icloud.com it will be erased and will ask for apple ID and password to activate, or user can enable lost mode and erase it later so that it icloud only be activated from icloud.com by the owner. We have been trying to find a way to unlock for free but as many people ask for paid services here is some, it seems to be legitime for icloud activation lock. This service is for those iDevice owners who bought their iDevices from somebody who they cannot contact anymore to ask the password. This Lock sometimes occurs to second-hand buyers who don’t know about ‘Find my iPhone’ you should check the icloud settings if there is a apple id logged in into icloud and Find My iPhone switch is ON. If you buy any iDevice form Apple be sure to check the icolud settings in Settings go to – iCloud, look there is any ID email and ask your seller to delete the account. We only help people who lost password or people of second-hand purchase without knowledge of iCloud lock system, and those who genuinely forget there the password for icloud Id. we not support stolen.